BHU LLB Application Form 2018 has been released by Banaras Hindu University (BHU). BHU conducts the separate entrance test for UG and PG law courses. Admission into UG courses is done through BHU UET (BHU Undergraduate Entrance Test) while admissions into PG courses will be based on BHU PET (BHU Postgraduate Entrance Test). Previously BHU law entrance exam was conducted separately but now it has been merged with UET & PET exam. The Candidates may apply online from 22 January 2018 till 19 February 2018. The candidates belonging to General category have to pay Rs. 500/-. The reserved category candidates have to pay Rs. 250/-. Once the fee will be paid, it will be non-refundable. Students can fill the application form through online mode only. Application form filling process has been started from 22nd January 2018. 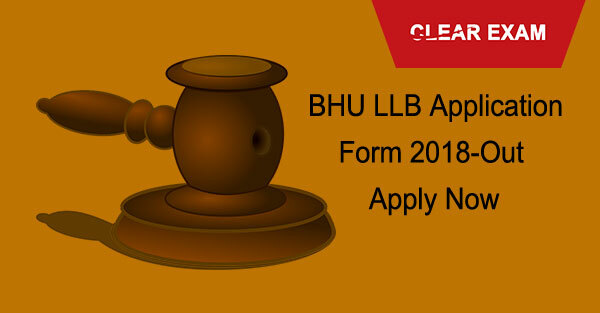 BHU LLB Application Form 2018 has been out. Click Here to Apply Online.